Mrinal Chatterjee is entrepreneur and technologist with over 26 years of experience building and leading world class teams to deliver best in class products in a hyper growth environment. Mrinal currently heads payment technology for Amazon India as Director of Technology. In this role he is responsible to deliver best payment solutions for Indian consumers. Prior to Amazon, Mrinal was Co-founder and VP of Products and Technology at ShopClues.com, and delivered the first and largest managed marketplace in India. 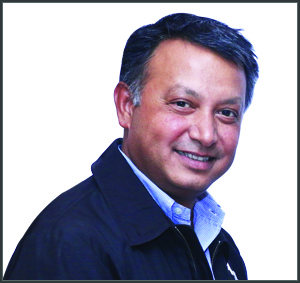 Before ShopClues, Mrinal was in the San Francisco Bay area (US) where he worked in a number of startups and large corporations like Contenix.com, RowNinie.com (acquired by Beyondtherack.com), Tablus (acquired by RSA), Epiphany, and Oracle. Mrinal is a graduate from IIT Bombay.